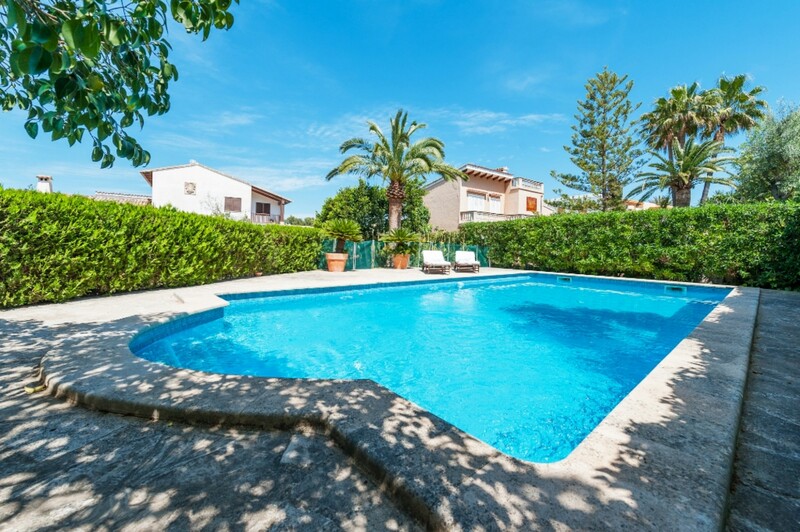 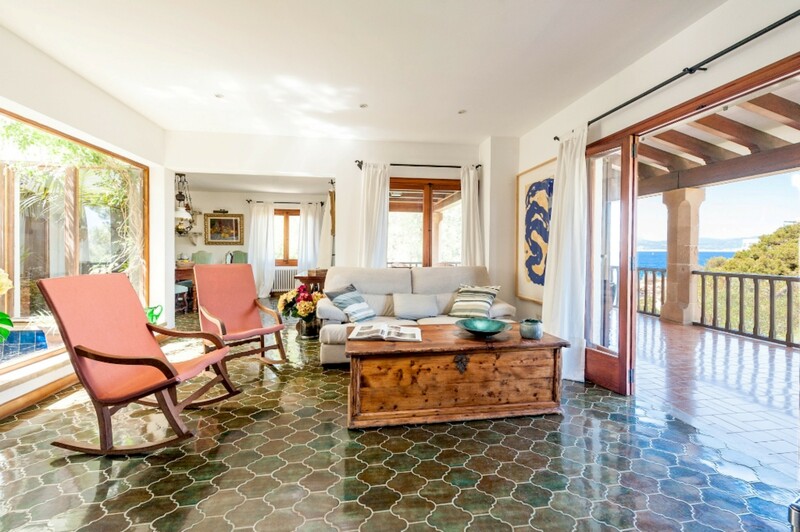 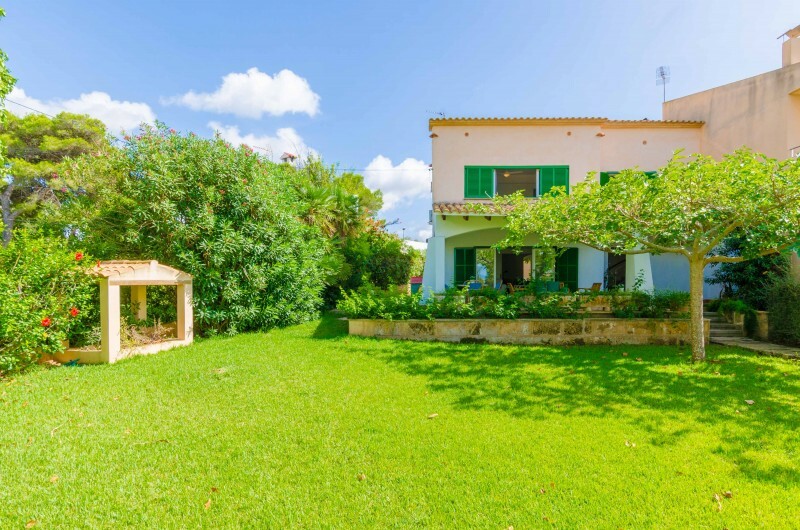 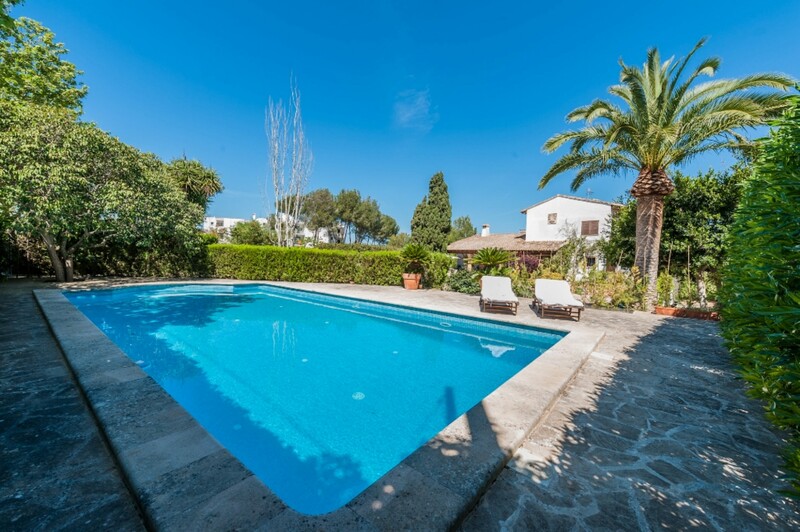 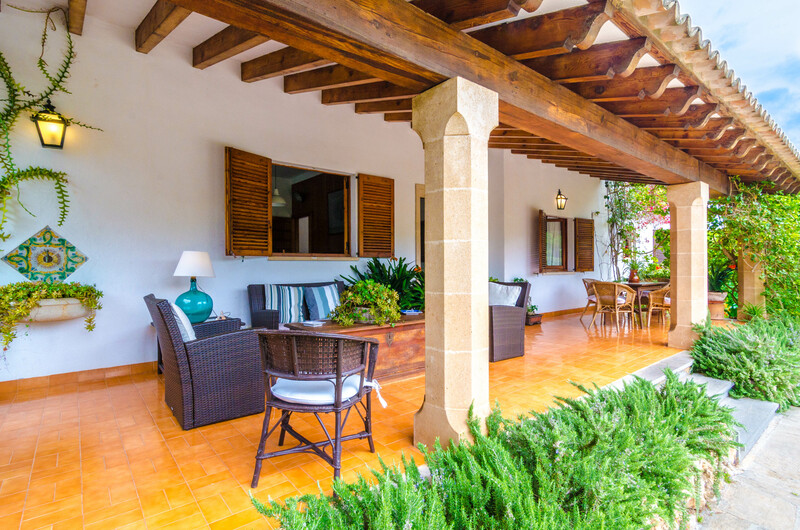 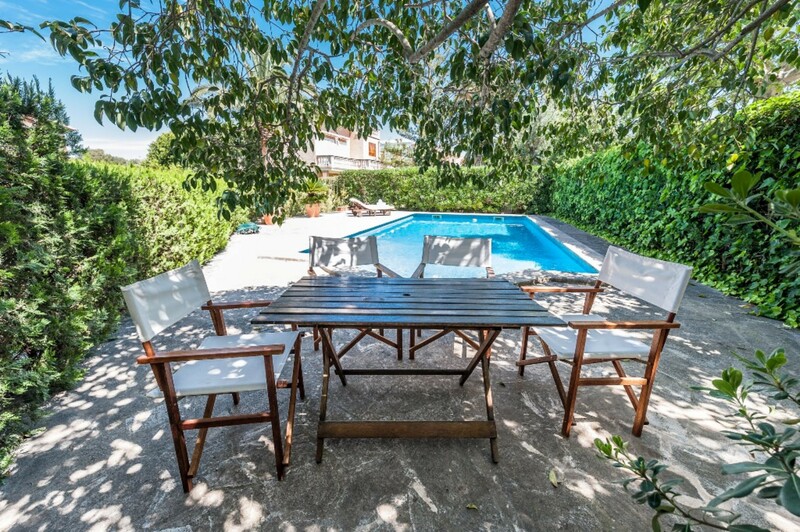 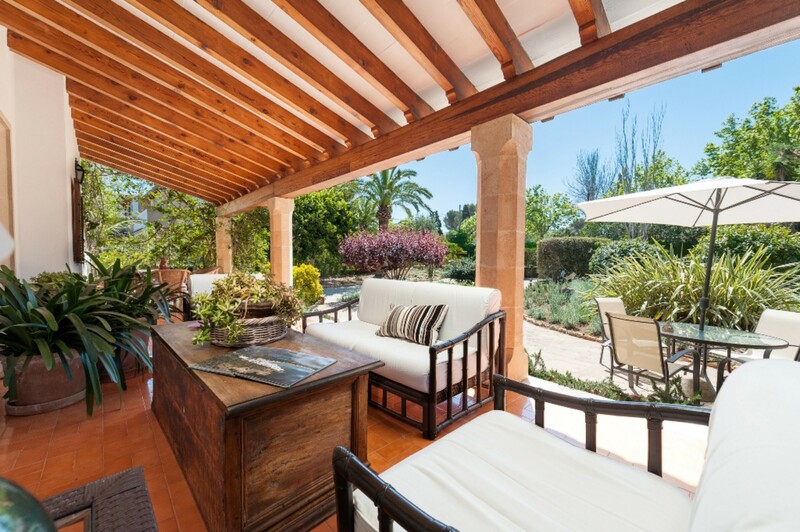 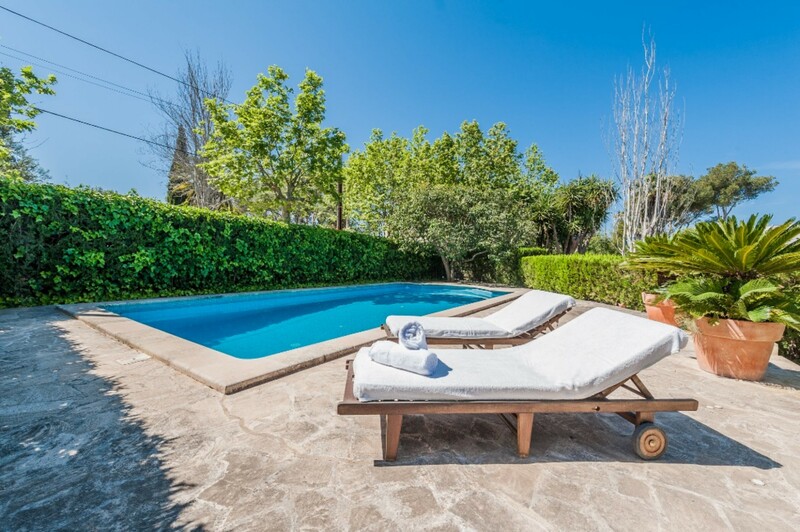 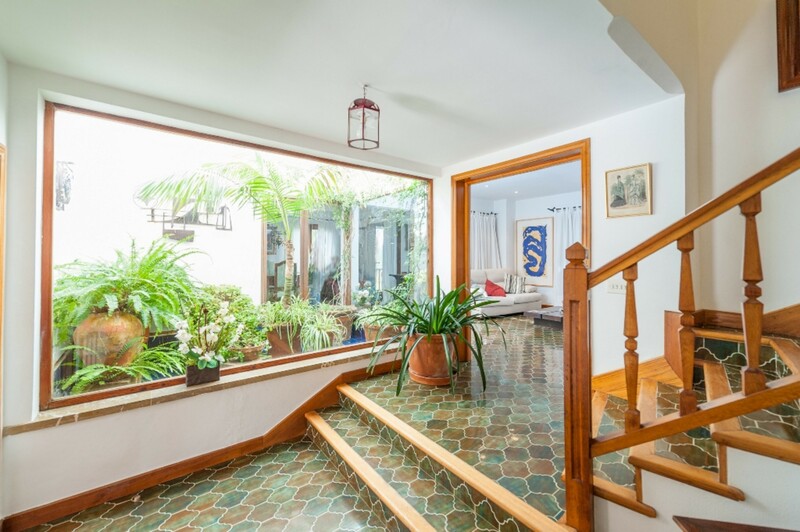 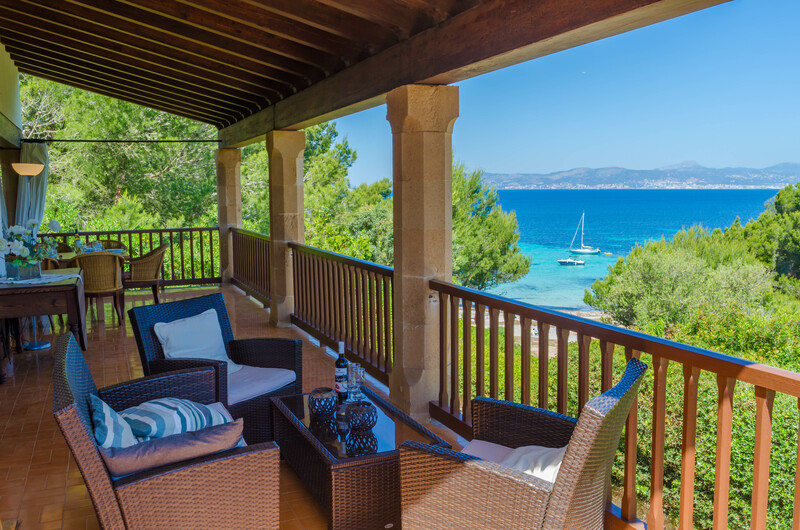 This wonderful villa is located in a residential area of the coastal region of Cala Blava, a few meters from the sea. 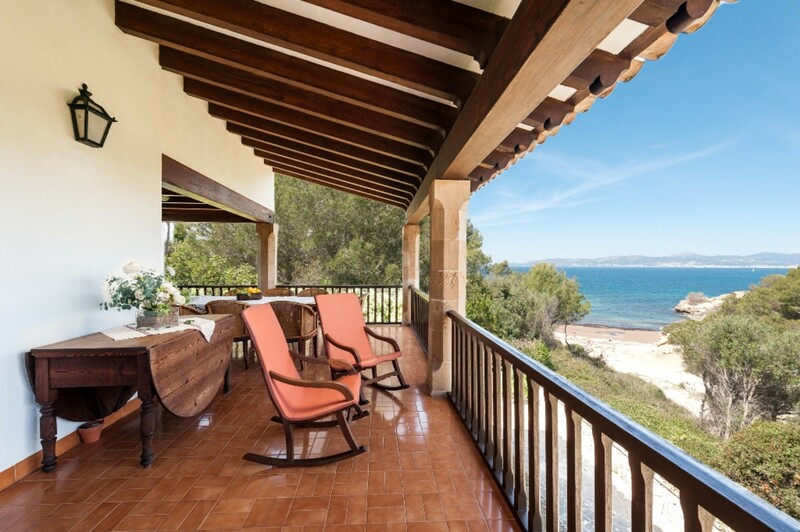 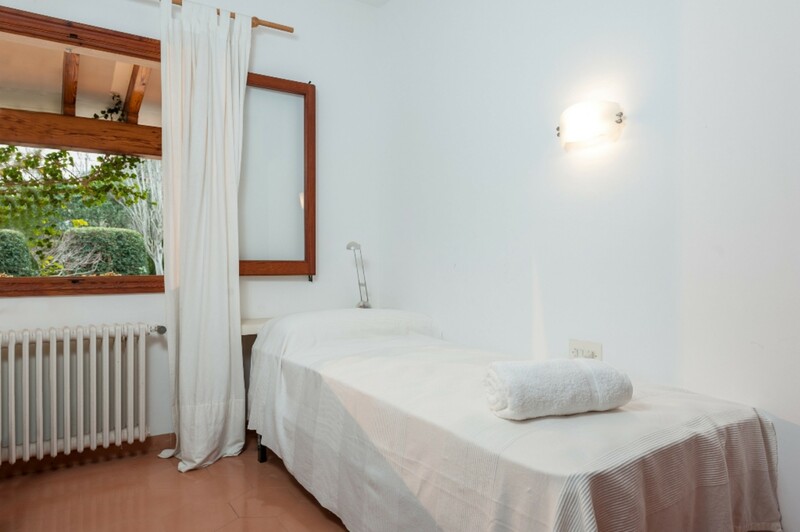 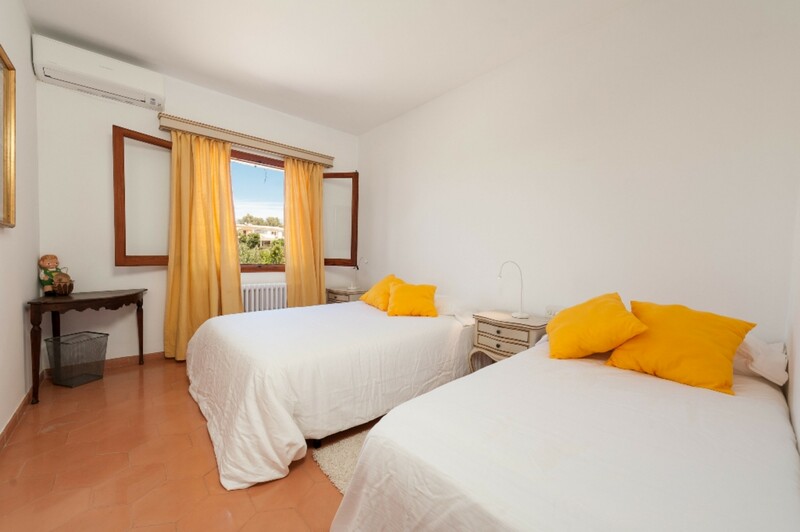 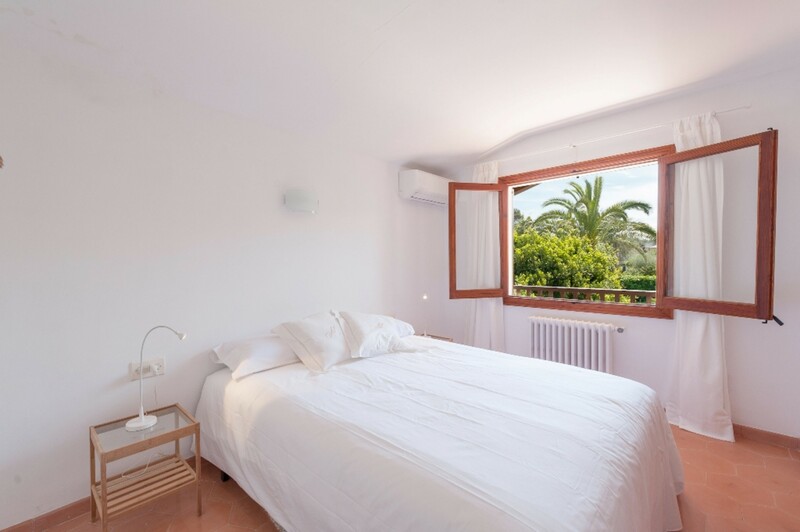 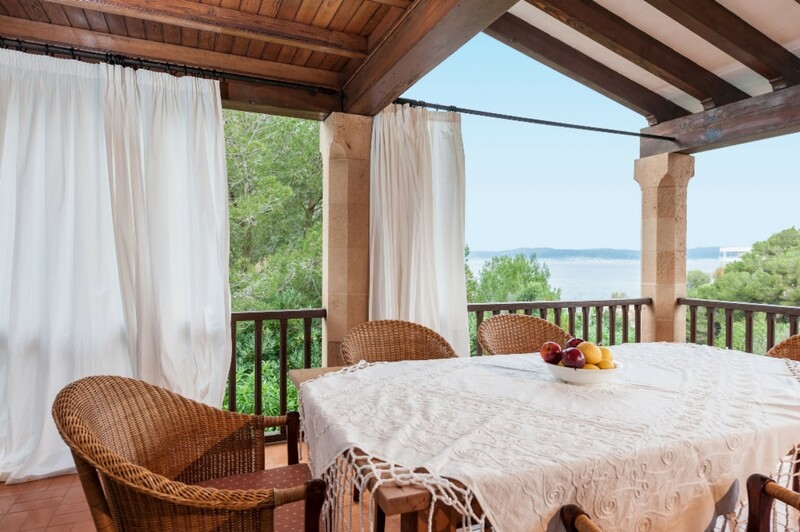 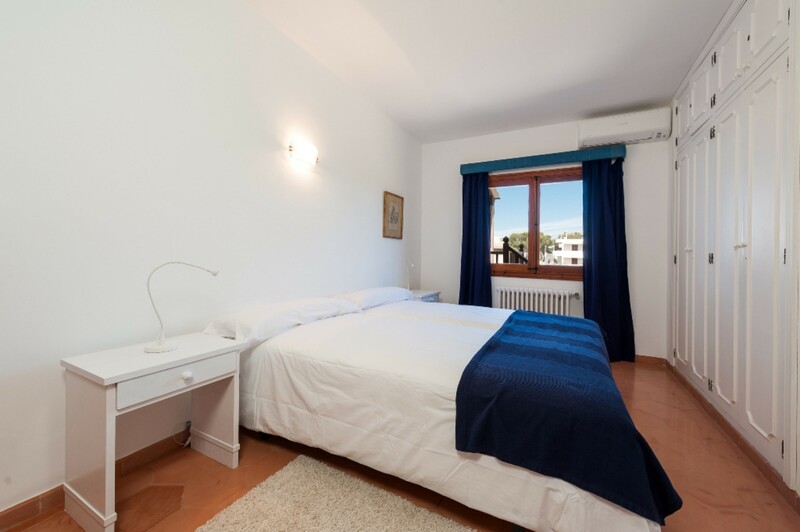 It overlooks the sea, the Bay of Palma and 9 people plus 1 additional space (at extra cost) can be comfortably accommodated. 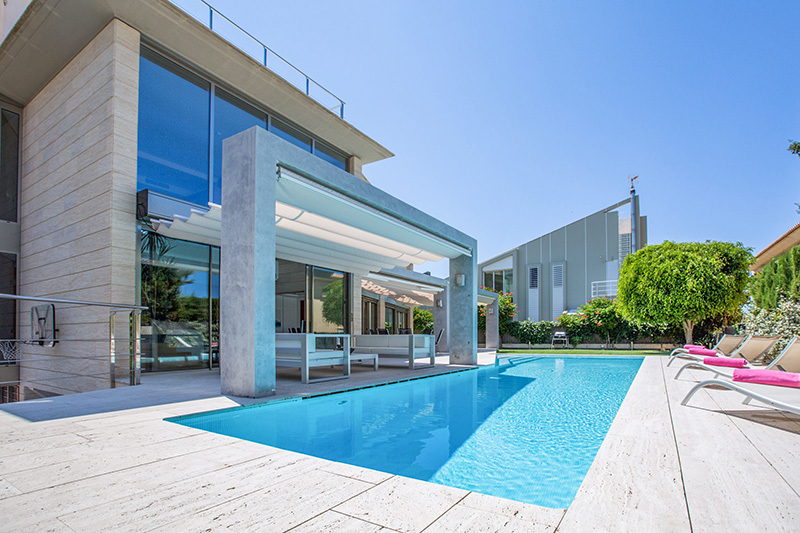 The exterior area of this property is amazing. 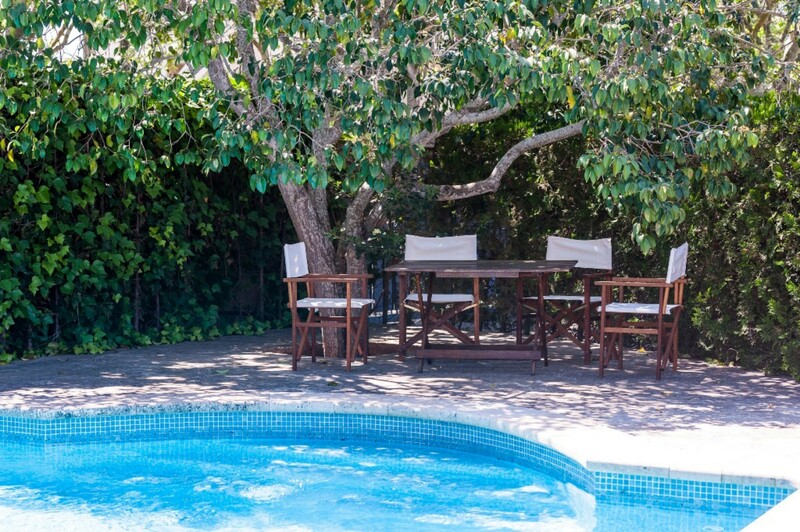 It features 1 10x5m salt pool with a depth ranging from 1m to 2m. 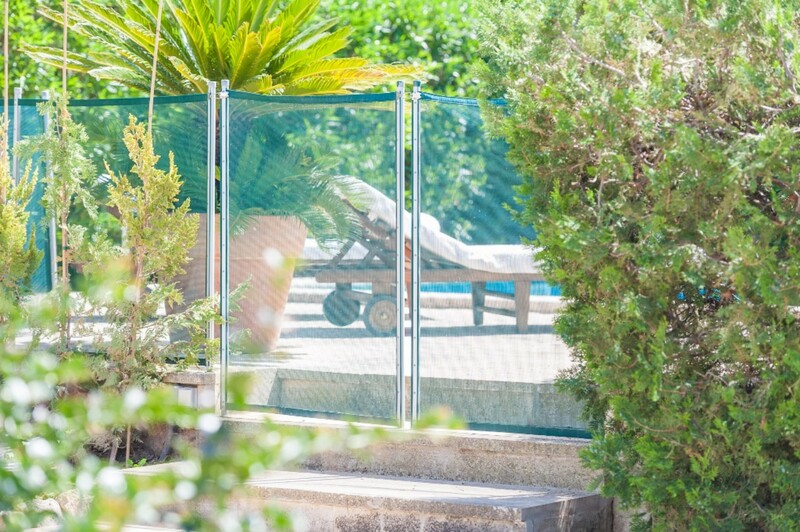 There is a protection available in the pool surroundings which makes the area safe for children. 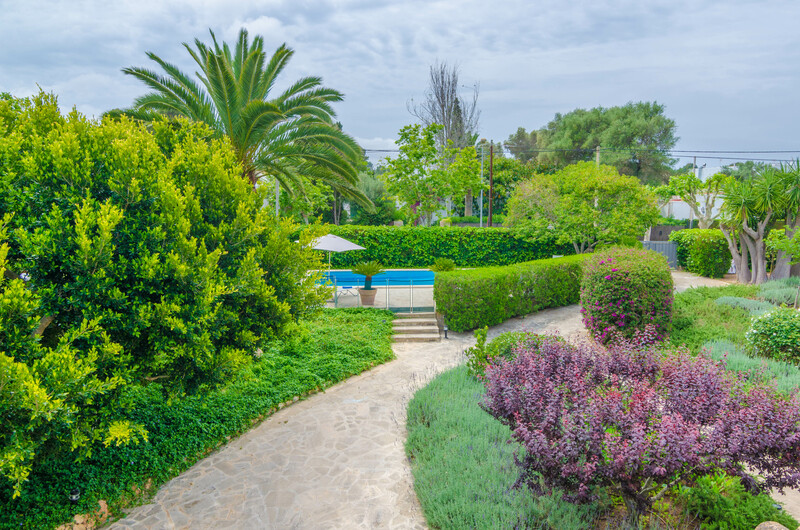 This villa has a 400m2 total fenced paved area. 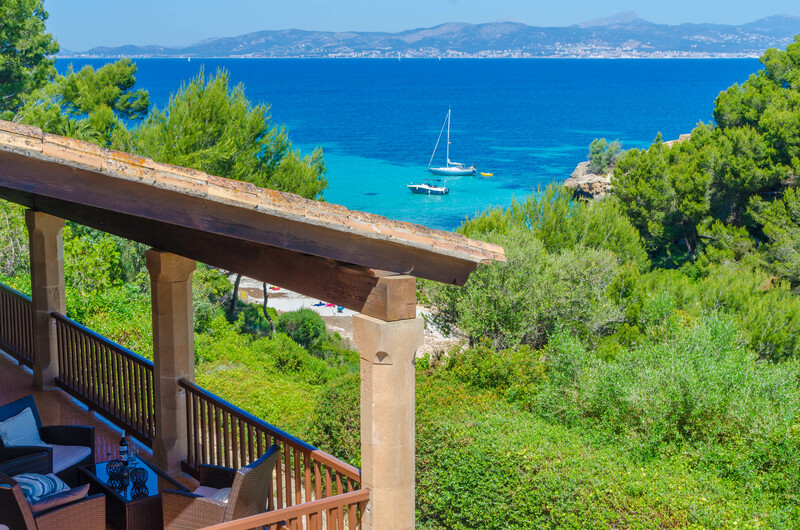 You will find 1 outdoor shower, 1 umbrella and you can relax in one of the 6 sunbeds available for you. 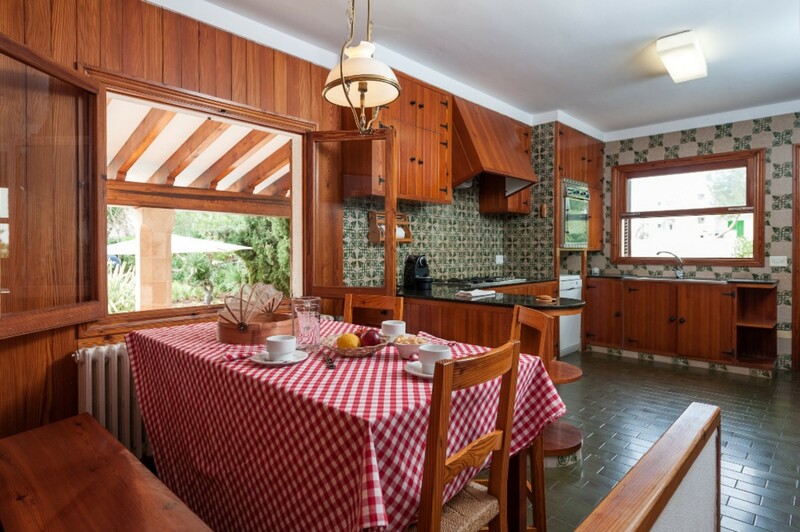 Spread over different floors (the house has -1F, GF and 1F) this property offers 2 furnished porches, 1 which has 35m2 and another with 39m2, where you can enjoy snacks and refreshments outdoors. 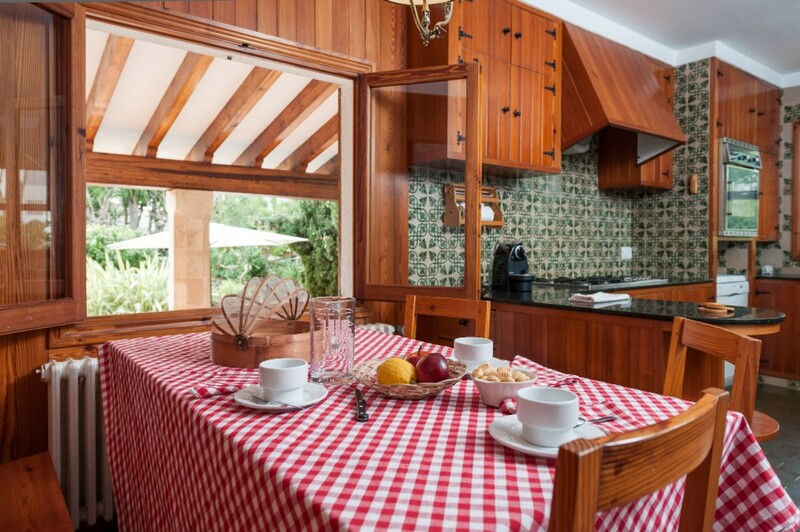 At the same time, it has 2 furnished terraces, a 20m2 one and a 15m2 other; you also have access to a 10m2 balcony. 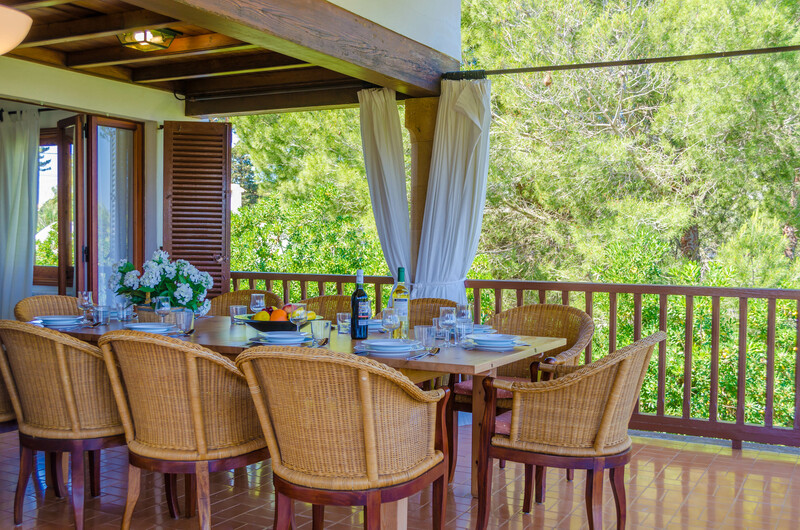 The terraces are perfect to enjoy summer lunches and dinners with your loved ones while admiring the spectacular views and environment. 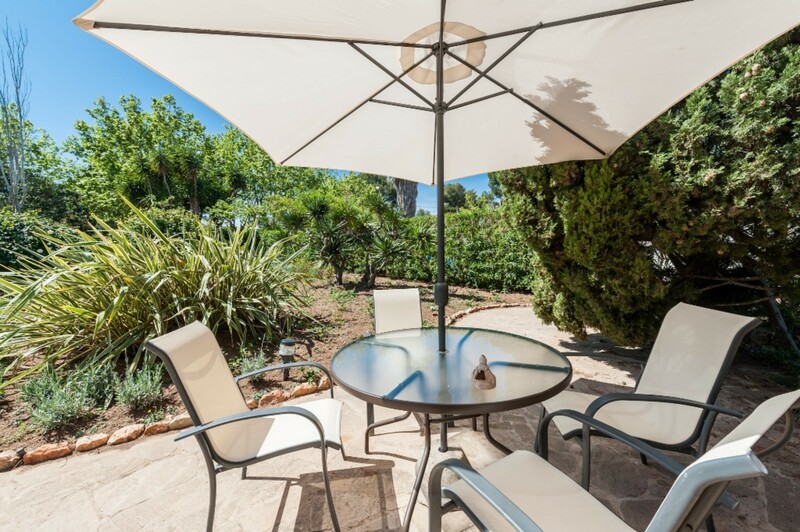 The outdoor area features 1 mobile barbecue, thanks to which you can delight your family and friends with your best creations, while enjoying outdoor cooking. 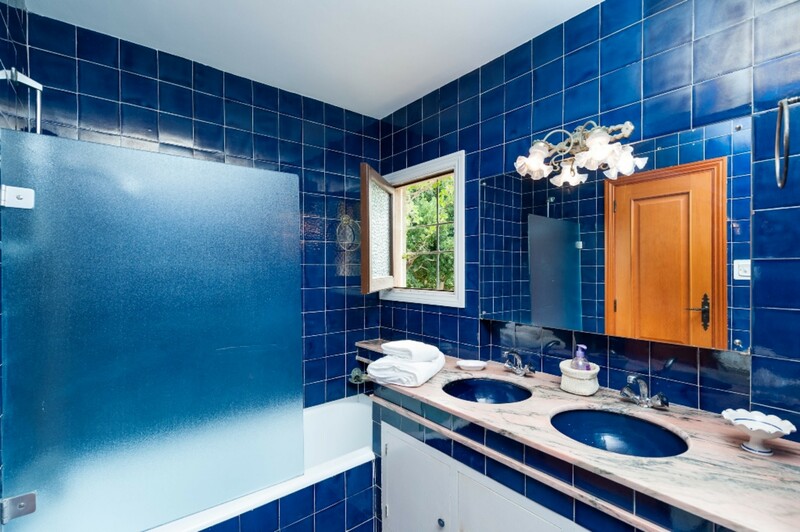 The privacy of this property is considered total and has outdoor parking for 3 vehicles. 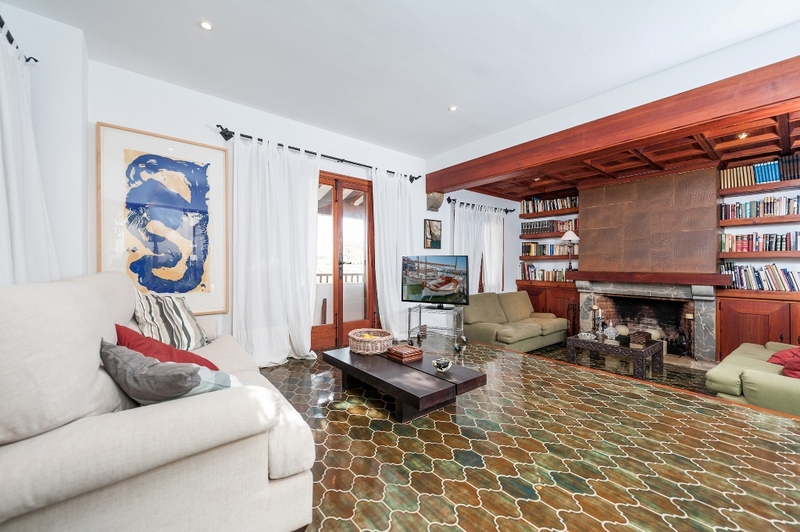 The large comfortable living room is the perfect place to unwind from the daily routine watching satellite TV or enjoying a good book. 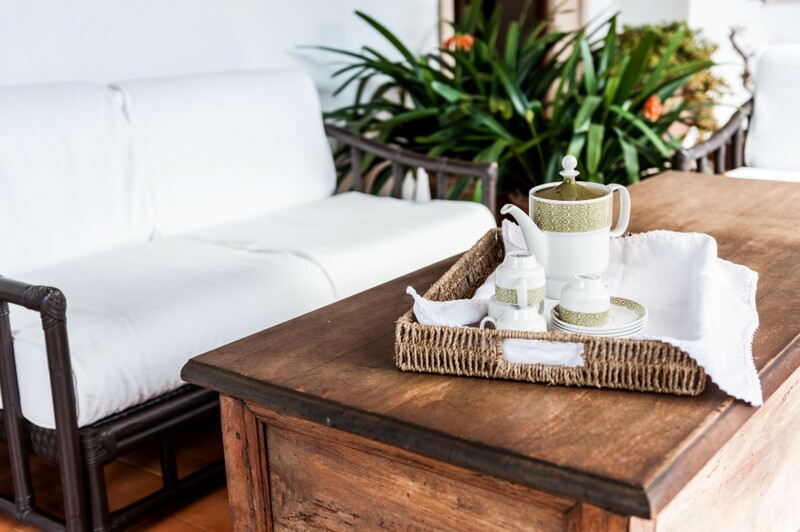 In the furnished room you can share unforgettable moments with your loved ones. 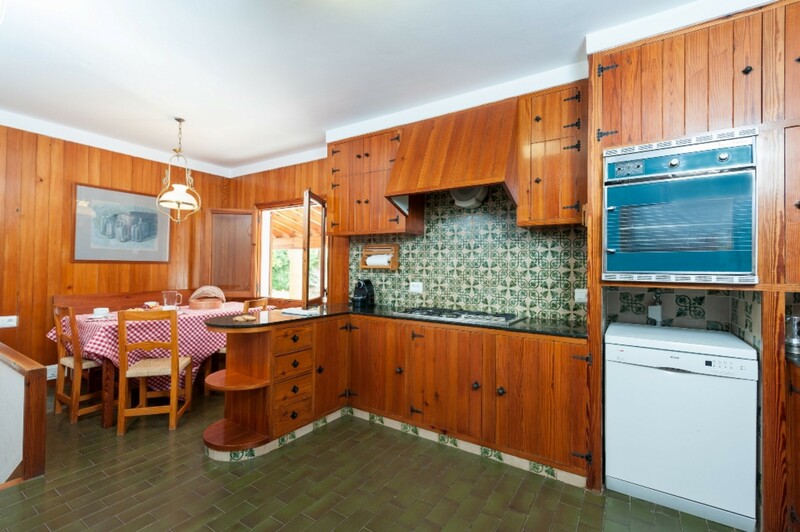 The kitchen, also furnished and independent, offers you a wide and well-equipped space in which to unleash your imagination to create the best dishes, including gas stove. 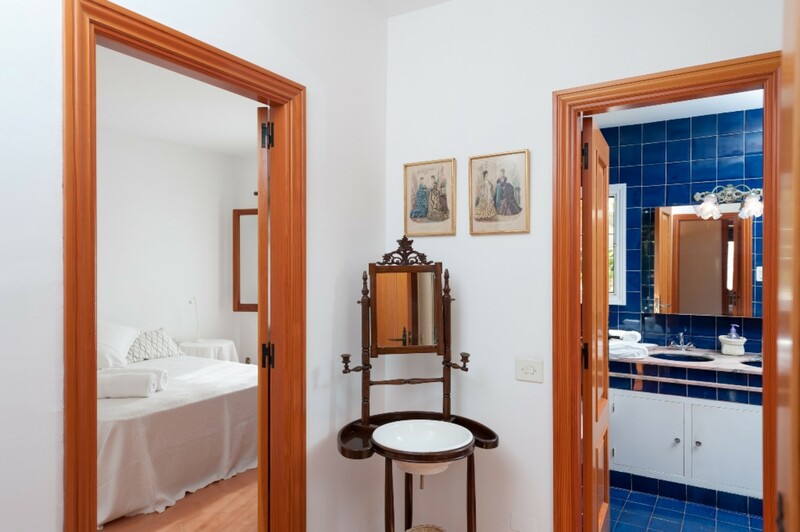 In the house there is 1 separate laundry room with 1 washing machine, 1 iron, and 1 ironing board. 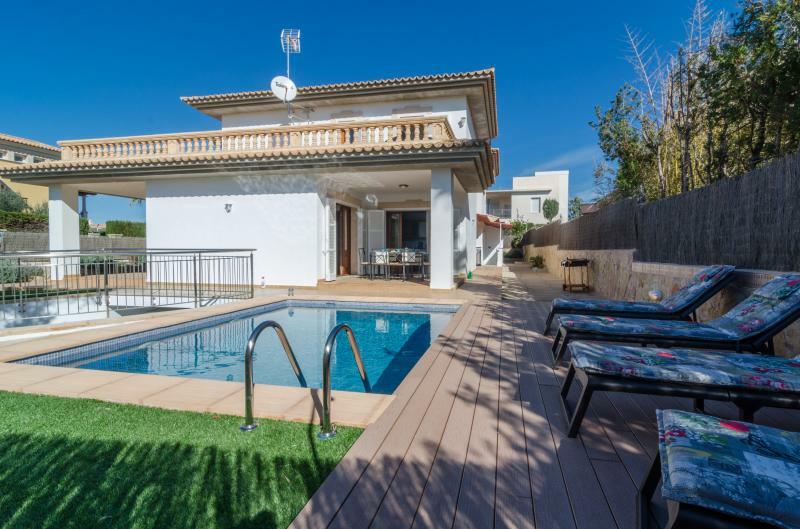 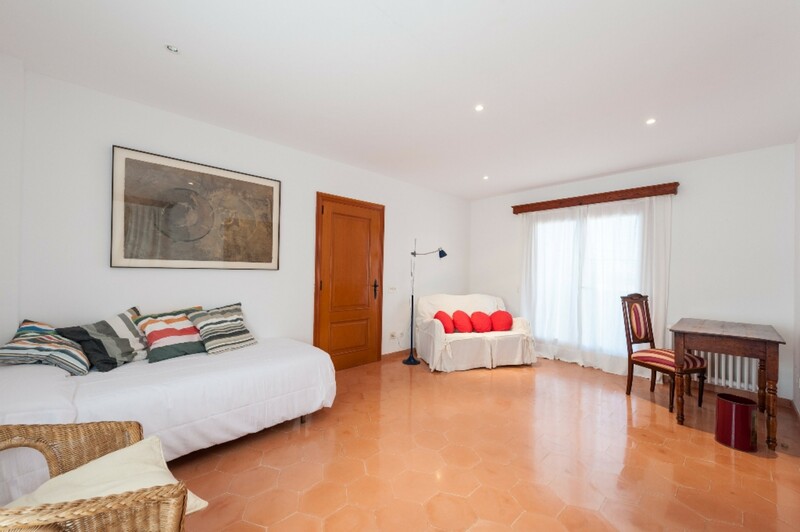 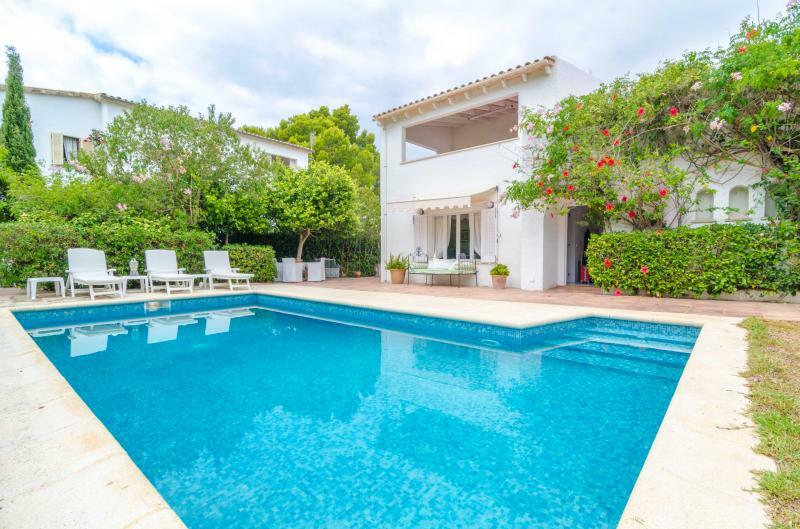 As a whole, in this fantastic villa you have access to 5 bedrooms, 3 of them with 1 double bed, 1 with 2 single beds and one with 1 single bed (4 of them are located on the ground floor while 1 is on the 1st floor). 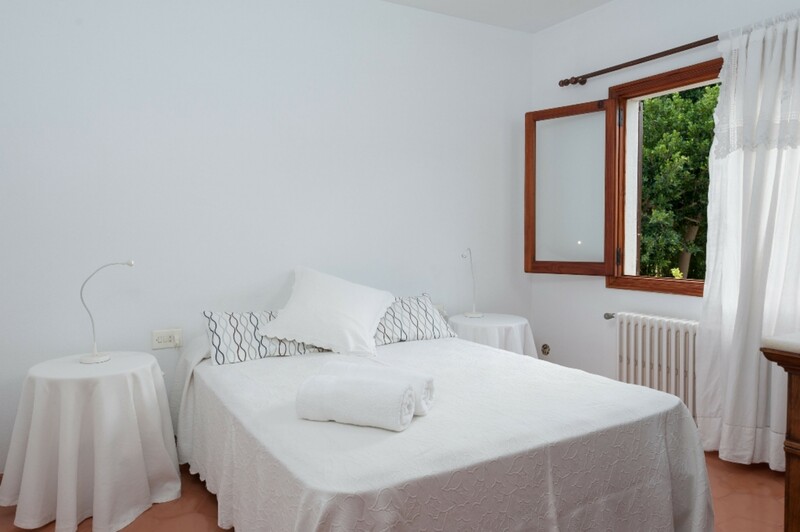 In 4 of the 5 bedrooms you can enjoy air conditioning, 3 of them have closets and, in case you need it, there is a crib for little children. 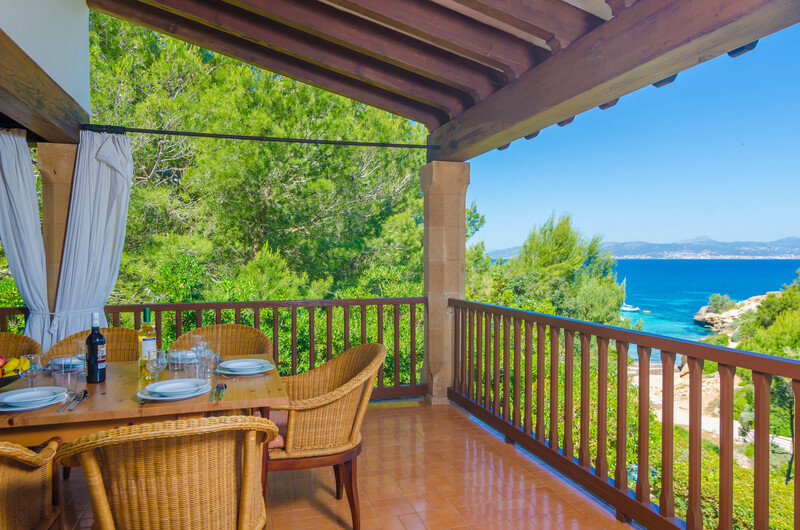 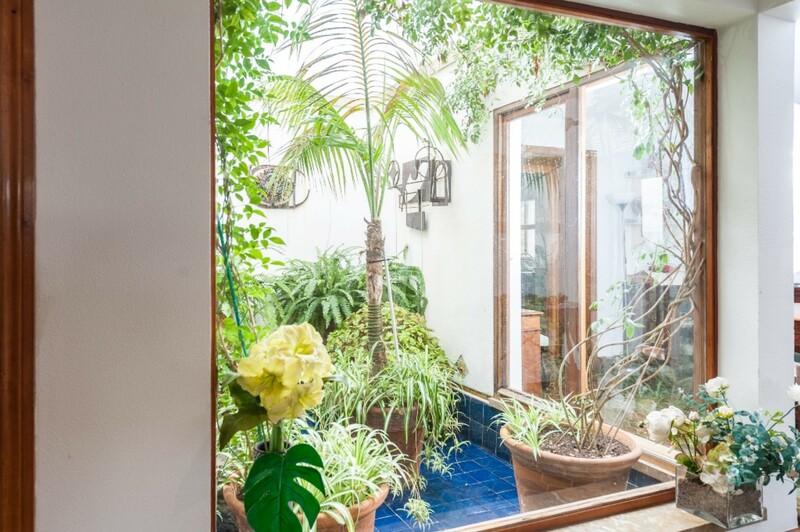 This property has access to 1 extra space (at an additional cost). 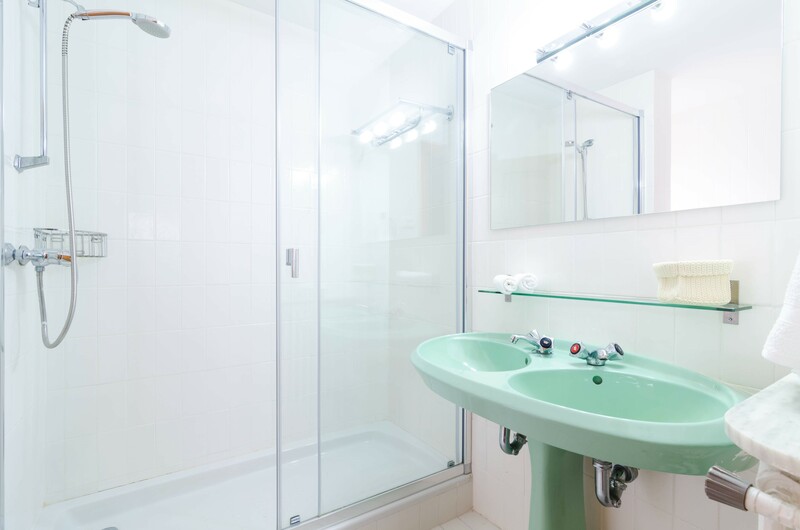 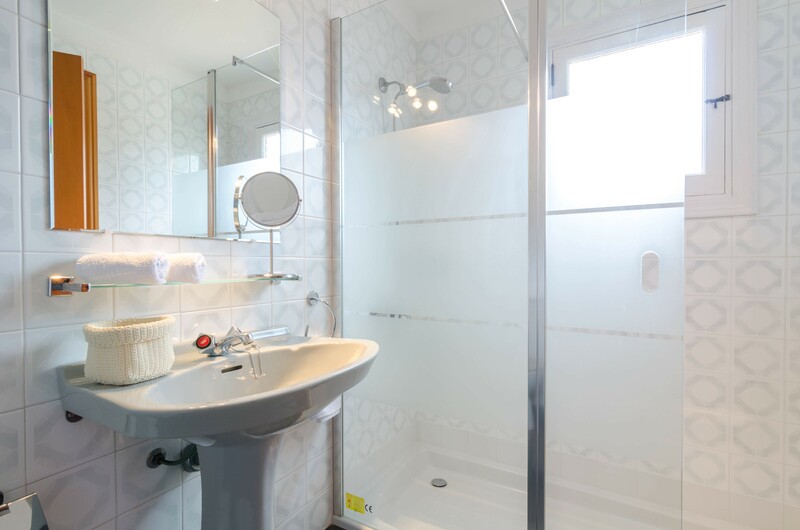 It has a total of 3 bathrooms, 2 with 1 shower and 1 with bathtub located in suit. 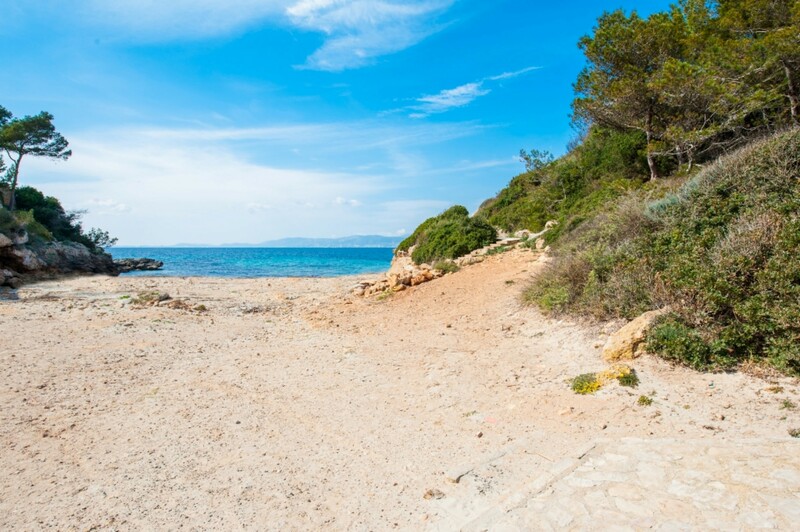 The area of Cala Blava is a privileged one due to its quiet environment. 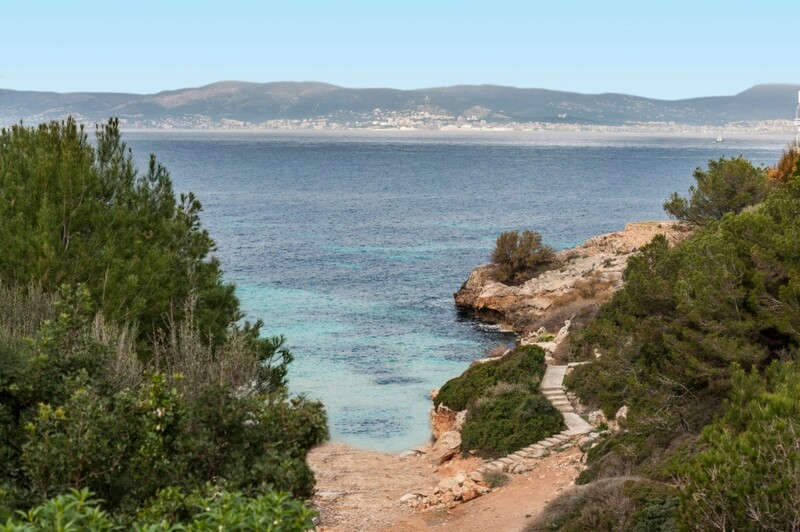 It is usually visited by the island’s natives for its tranquility, its clear waters, and its proximity to the city of Palma. 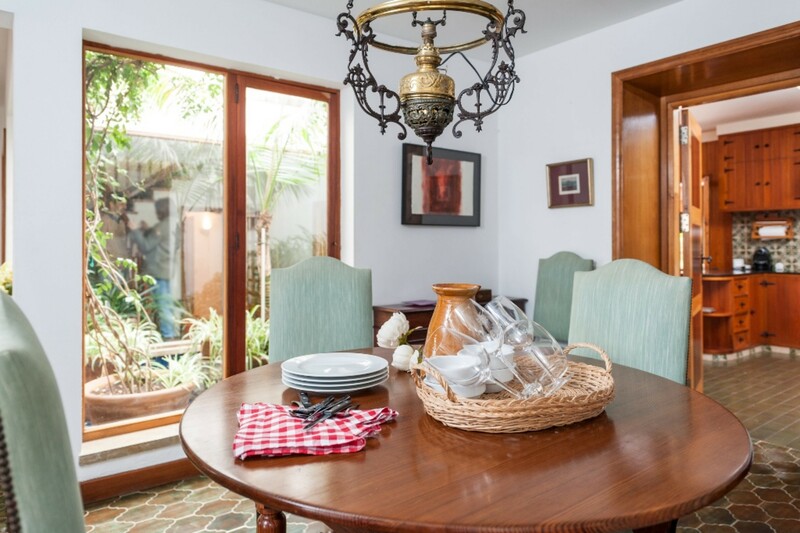 It is only 2 kilometers away from the town of El Arenal, where you will find all kinds of shopping centers, a variety bars and restaurants, a marina and other facilities which you may require during your vacation. 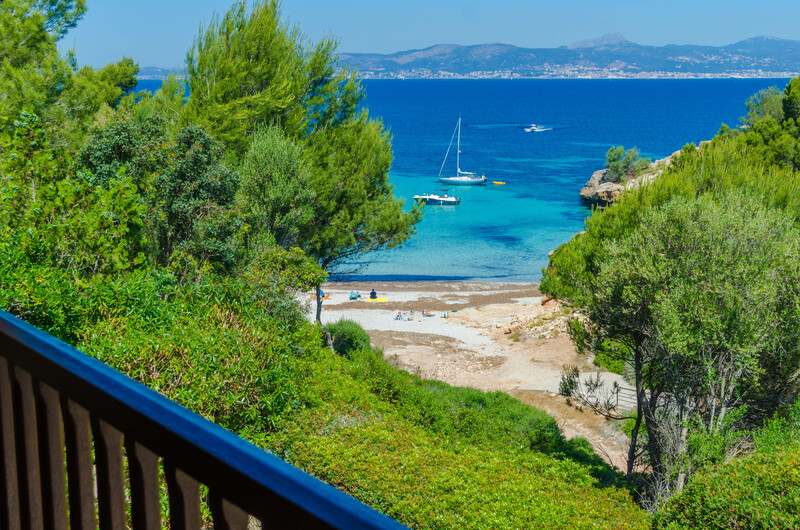 At the same time, the area of El Arenal also offers you a variety of water sports such as windsurfing, kite surfing or jet skis.